A piece of legislation that would eliminate a 10 percent tax on small fitness centers in the state (and that is largely supported by local officials here) passed in the Tennessee Senate last week. The legislation, HB1138, would do away with the 10 percent amusement tax included in the membership fees for small fitness centers under 15,000 square feet. The sales tax currently applies to gyms and studios providing exercise, athletics, or other fitness services like cross training, ballet barre, yoga, spin, and aerobics classes. If the proposed legislation becomes law, the tax would still apply to facilities like country clubs, golf courses, and tennis clubs. The bill passed with a 28-1 vote in the state Senate last week after moving through the House late last month with a 95-0 vote. To take effect, the legislation has to be signed by Governor Bill Lee, who has voiced support for the repeal in the past. The bill would cut a 10 percent tax on small gyms. Conrad said last week that the council is "thankful for the work of the National Federation of Independent Business (NFIB), the local fitness community, and state Rep. Mark White (R-Memphis) who was a champion for this cause." "The repeal of this antiquated disincentive for small businesses and those wanting a healthier lifestyle is a win for all Memphians, and all Tennesseans, whether as operators or patrons of local fitness, wellness, and recreation opportunities," Conrad said. "We appreciate the state legislature having acted in the interests of promoting healthy activity in our communities." Canale, who chairs the council's government affairs committee, applauded the governor for including the repeal in his proposed 2020 budget, saying "healthier outcomes for Memphians is a priority of ours and we seek to encourage wellness for all citizens." 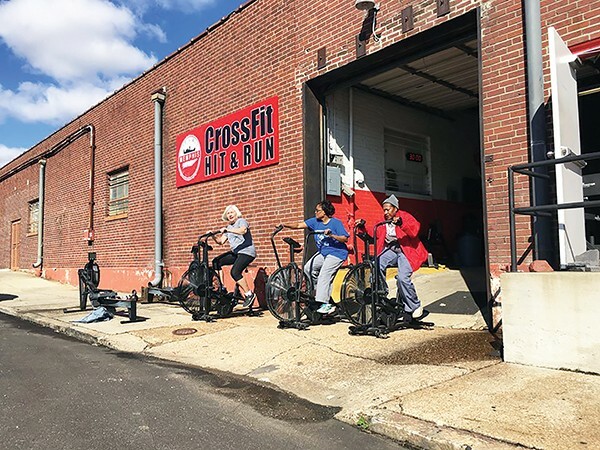 The move has also been supported by Shelby County Mayor Lee Harris, Shelby County Commissioner Brandon Morrison, and local small gym owners like Justin LaMance, co-owner of Crossfit Hit and Run. LaMance said the state-enforced tax caused the gym to increase its rates by 10 percent, which made the gym unaffordable to some members. "We are a small and tightly connected community, and we hate to see people go," LaMance said. "The tax was a bad idea that would only benefit the large, globo gym model. We're glad to see it go and will be able to now provide our services to the community at a more affordable rate." Tennessee's adult obesity rate was 32.8 in 2017, making Tennessee the 15th most obese state in the country, according to a report released in 2018. The report, called the "State of Obesity: Better Policies for a Healthier America," also found that 30 percent of Tennessee adult residents are not physically active, 13.1 percent have diabetes, and 38.7 percent have hypertension. The study, an effort by the Trust for America's Health and the Robert Wood Johnson Foundation, used body mass index and other data from the Centers for Disease Control to identify obesity rates.